Growing a healthy, vibrant, thriving community is what matters to us most! 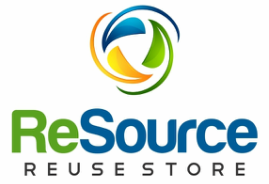 ReSource ReUse Store is a non profit retail store open to the public. We accept donations of used and surplus building materials and home products and resell them to the public at a fraction of retail prices. ReSource is a collaboration between the Greater Chequamegon Bay Area Habitat for Humanity Chapter and the Alliance for Sustainability who aim to build thriving, affordable, sustainable communities where we live. Donations for ReSource are accepted under the Alliance for Sustainability 501c3.All proceeds benefit Greater Chequamegon Bay Area Habitat for Humanity and the Alliance for Sustainability. Provide affordable, simple, creative solutions to meet our region’s home improvement needs. Upcycle materials otherwise considered waste or useless products into reused or new items of higher quality, extended utility, greater beauty and better environmental value. Support home building, renovation and/or preservation, and accelerate and broaden access to affordable housing. Transform lives and promote positive and lasting social, economic and environmental change within a vibrant healthy community based on mutual trust, fully-shared collaborative accomplishments, ongoing celebrations and responsible stewardship of all resources entrusted to us. Since opening in July 2013, ReSource has prevented tons of reusable materials from being thrown away while at the same time helping countless people make home improvements that might otherwise be unaffordable. The many thanks we receive tell us we are making a difference. ReSource believes everyone in our community should be able to make a place they celebrate as home. We keep our prices intentionally low to make this possible. This means that ReSource cannot survive on sales alone. We need support from donors like you to keep our doors open. Please help us reach our second anniversary by making a tax-deductible donation to the ReSource Store today. Habitat for Humanity builds affordable homes, better lives, stronger families and safer communities throughout the Chequamegon Bay region. Habitat offers home-ownership and home repair opportunities to Chequamegon Bay region families who are unable to obtain conventional house financing. The Alliance for Sustainability is a local nonprofit grassroots organization that uses education, celebration, collaboration, and direct action to develop sustainable principles and practices that will foster vibrant and healthy communities in the Greater Chequamegon Bay region..
﻿ReSource is a Greater Chequamegon Bay Habitat for Humanity & Alliance for Sustainability partnership. We are a volunteer run store subject to closing based on coverage. Please call ahead to confirm ReSource is open. We encourage you to always call in advance to confirm we have store coverage.